Gelatin is produced out of collagen that has been permanently hydrolyzed. This collagen is generally discovered in fish, bovines, pigs, and sheep, and is also considered as a robust source of protein. Gelatin consists 2-4% mineral salts, 8-12% water, and 85-90% protein. Preservative and additives-free gelatin that are edible are used extensively across the globe. Photography and cosmetics industry uses the gelatin in its non-edible form. • May 2018- Darling Ingredients of U.S. accomplished the takeover of Kruger Commodities, Inc. of U.S. By acquisition, it aided the enterprise to increase its manufacturing industry for collecting cooking oil and blending protein processes. • April 2018- Nitta Gelatin of Japan introduced DRG Gelatin; this gelatin is applied in manufacturing soft gel gelatin capsules. DRG gelatin is utilized to avoid reaction due to cross-linkage and improve or prevent from separating the parts of component in soft capsule implementation. • November 2018- A branch of Darling Ingredients named Rousselot, is in partnership with Baker Perkins of U.S., a food technology and equipment supplier enterprise. The companies are in partnership to enhance the gummies’ gelation procedures. • January 2017- Gelita a German company capitalized in Eberbach factory for the building facilities that is ultra-modern. This has aided the enterprises to improve the manufacturing process to meet up the demand for consumer for protein and collagen products. The gelatin market appears to be moderately fragmented with the presence of several players. This market research report will help clients identify new growth opportunities and design unique growth strategies. This can be achieved by providing a comprehensive analysis of the market's competitive landscape and offering information on the products offered by companies. The prime players in global gelatin market are Nitta Gelatin Inc., PB Gelatins, Roxlor LLC., Catalent Pharma Solutions, Sterling Gelatin, and Weishardt Group. The prime aspects boosting growth of the global gelatin market are the wide implementation of gelatin as a thickening agent, viscosity controlling, and cleansing. In the food and beverage sectors, gelatin is utilized as a stabilizing and gelling agent. This is due to delivering stability and consistency to food items like yogurt, candies, ice creams, marshmallows, and cakes. Gelatins are also well-known to improve the quality of hair and appearance of skin. This is due to which it is deployed in the production of numerous personal care items. Geographically, Europe was the leading section accounting for the maximum revenue share of the global market for gelatin in the past few years. 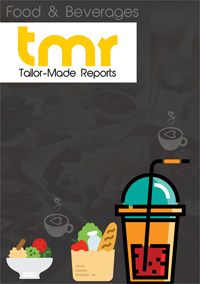 Growing awareness towards inclusion of nutritious ingredients in food & beverages sector, specifically in developed countries is said to have a high effect on the gelatin market. Moreover, the existence of a strong drug production base in Belgium, Germany, and the U.K. is expected to remain a favorable factor. Asia Pacific will experience the quickest growth in the forthcoming years. Optimistic outlook towards the healthcare industry in Malaysia and Thailand in light of growth in sales volume of pharmaceuticals is projected to promote the application of gelatin in the coming years.